The Nigerian striker Victor Osimhen escaped Bundesliga relegation with Wolfsburg on Monday after beating Eintracht Braunschweig 2-0 on aggregate in the relegation play-off. Wolfsburg secured their place in the Bundesliga next season after beating Eintracht Braunschweig 2-0 on aggregate in the relegation play-off. Leading 1-0 from the first leg, the 2009 champions doubled their advantage when Portuguese defender Vieirinha rifled home a first-time shot. Wolfsburg, second in the table in 2015, finished 16th in the 18-team table after losing half of their 34 games. 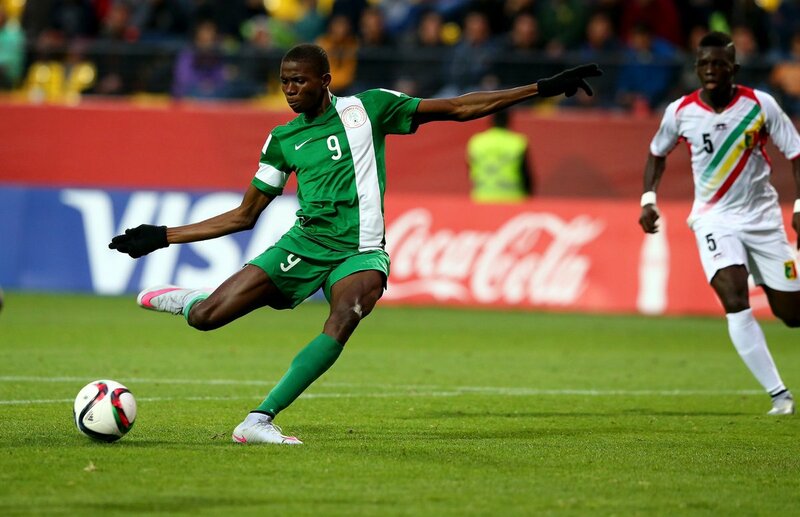 Osimhen was in action for Wolfsburg on Monday. he came off the bench for Mario Gomez in the 89th minutes. The striker made his Wolfsburg debut on May 13 2017 in Wolves 1-1 draw against Borussia Monchengladb in Bundesliga clash. Golden Booth FIFA U17 winner Osimhen joined Wolfsburg on January and made his Bundesliga debut.